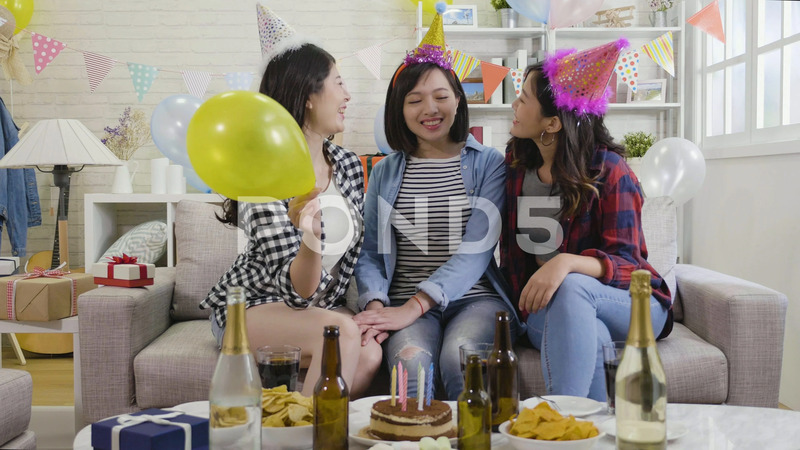 Description: house birthday party young women at home celebrating. attractive ladies sitting on sofa chatting happily. girl surprised and joyfully pointing finger at table with full of tasty food and champagne.